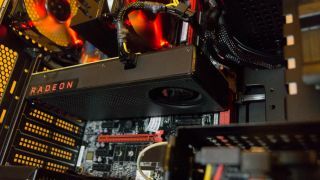 If you've picked up one of AMD's Radeon RX 480 graphics cards with 4GB of video memory, there's a chance you could double that RAM with a relatively simple tweak. So what's the story here? Apparently, some RX 480 models with 4GB actually have 8GB of memory on board in physical terms, and have simply been limited to addressing half of that – a restriction that can be circumvented simply by flashing with the BIOS of the 8GB flavor. Why is AMD shipping 4GB cards which actually have 8GB of RAM on board? Speculation is rife on that point, but it seems most likely that it could be something to do with supply issues in the case of the former. And if that's true, these extra-memory-carrying variants probably won't be around for long. More cynical types have suggested some kind of marketing stunt to help stoke the sales of RX 480 cards, with folks who are thinking of buying a 4GB model likely to go out and make the purchase in the hope that they get one of these 8GB gems. At any rate, you may or may not get lucky. We were impressed with the Radeon RX 480 in our recent review, noting that it provides exceptional full HD performance for the money, and indeed is up to the task for a spot of 1440p gaming, too.